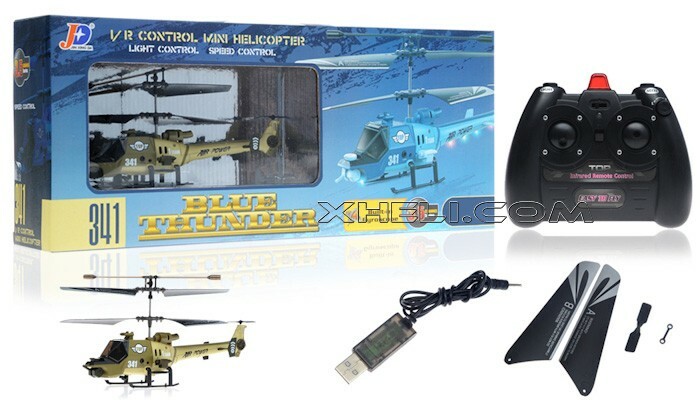 In this ultra micro helicopter, it includes a 4-in-1 infrared controller (Gyro + ESC + Mixer + Receiver). 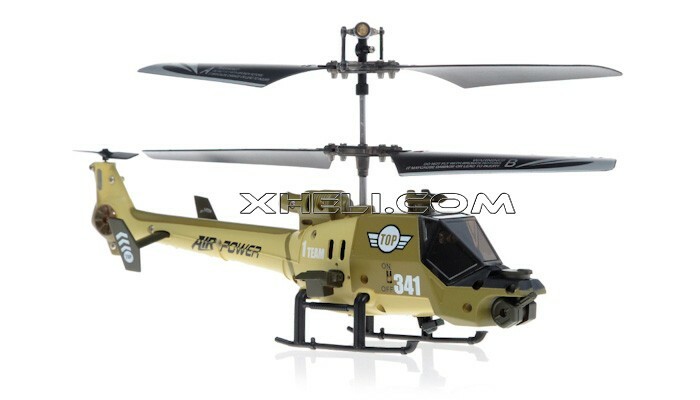 This makes the palm size helicopter have outstanding performance in hovering. 3 Channels for flying it, able to move in 6 Directions. 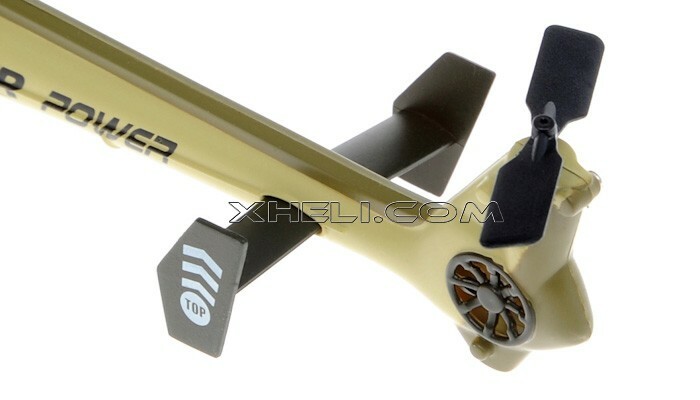 The detailed fuselage made of durable plastic, which protects the helicopter from crash, it won't break easily. 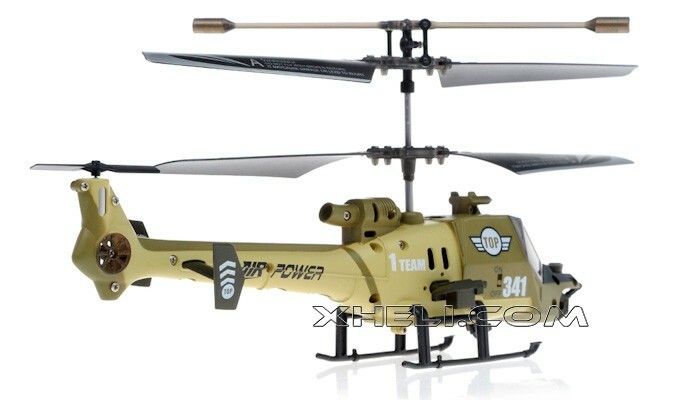 This would be great for those who are new to R/C toys! 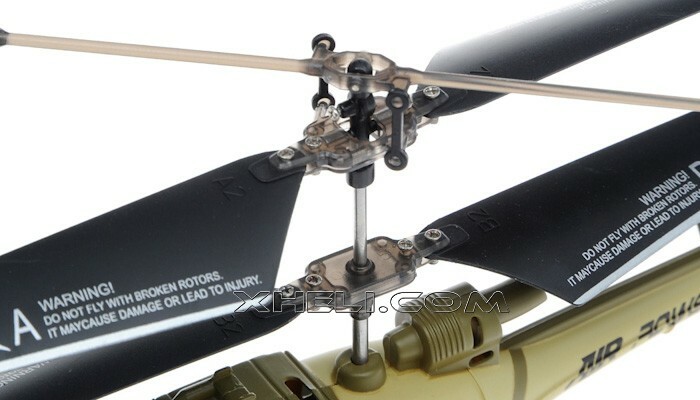 With highly sensitive gyroscope, flies quietly and stably. Throttle can be locked at any position, this allows the mini boy stay in the air with both your hands free! 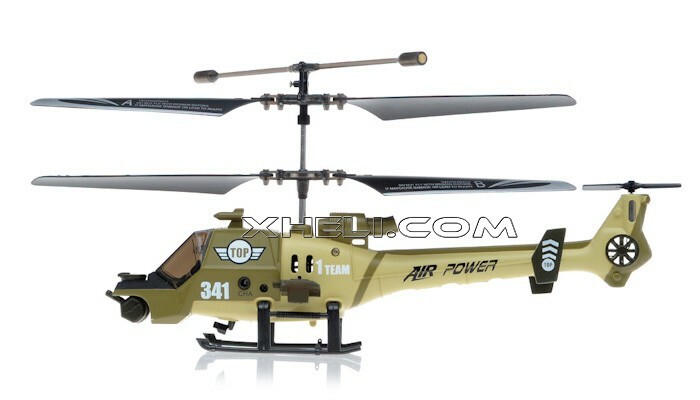 Be ware that this toy helicopter is designed for those who are over 8 years old. That's suitable from kids to adults! 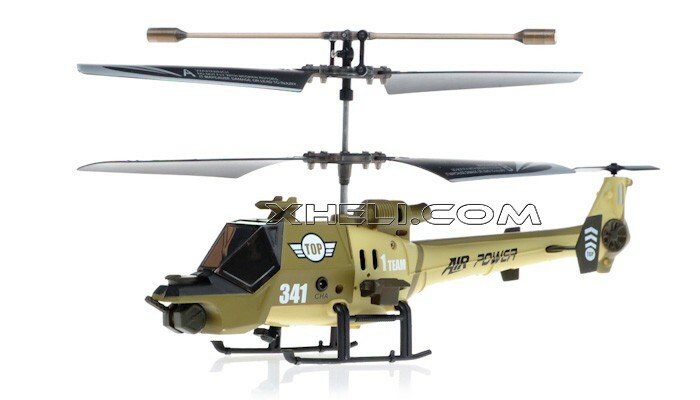 Coaxial structure makes the helicopter ultra stable while flying, with colorful LED light throughout the body, provides you with a fantastic night fly ir in slightly dim condition. Very detailed body, with unique body and window shape design. Military lovers may also like its detailed fuselage! 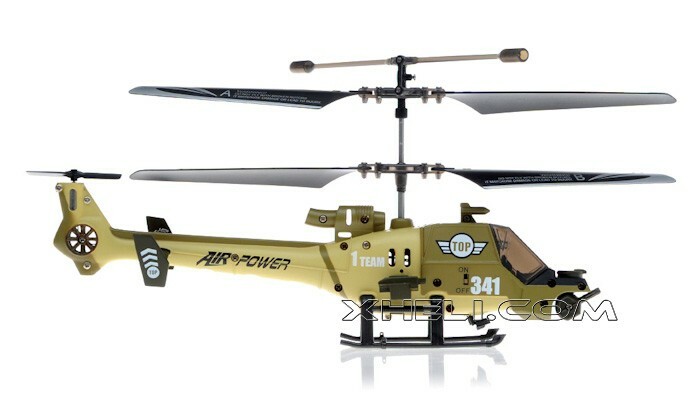 3 bands (non-selectable), this allows maximum 3 helicopters can fly in the same area. 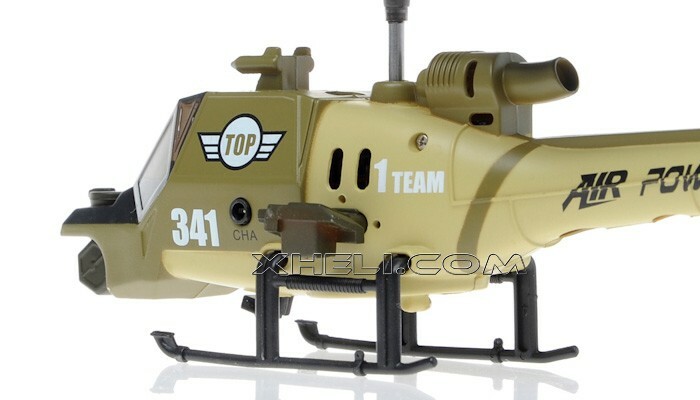 This infra-red transmitter can act as the charger for the heli, it needs 6 AA batteries to function. (Batteries are not included in the package). How to charge it? Easy! Just plug it to the transmitter, switch the transmitter on, that's it! If you don't want to draw power from the dry battery pack, you can also charge by the USB cable included, so that you can charge by a Laptop or PC.